The majority of errors were attributed to the human-computer interface, workflow and communication, and clinical content, Pennsylvania Patient Safety Authority says. Exactly 889 medication error reports submitted to the Pennsylvania Patient Safety Authority between Jan. 1 and June 30, 2016, listed healthcare information technology as a factor contributing to the error event, according to a new report by the state. The three most commonly reported event types were dose omission, wrong dose/overdosage, and extra dose, the report found. The most common HIT systems implicated in the events were the computerized prescriber order entry system, the pharmacy system, and the electronic medication administration record, the report said. To identify and prevent errors attributed to HIT, healthcare organizations should encourage frontline staff to report errors or near-miss errors due to HIT so the events can be analyzed and systems improved, wrote the report authors. But the introduction of technology to improve patient safety has led to new, often unforeseen types of errors, the report said. The use of technology in the healthcare setting has increased dramatically in the past decade. 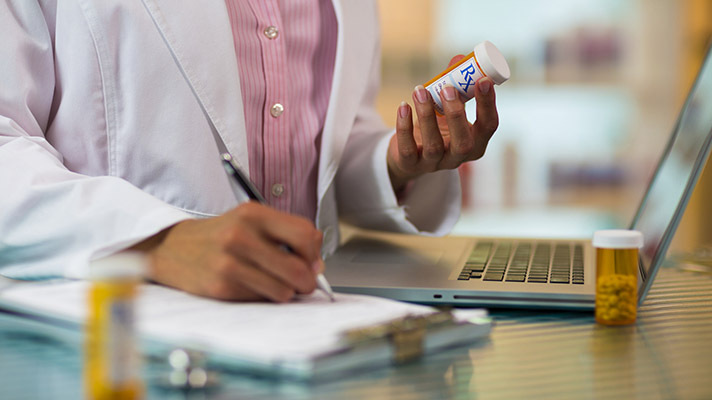 “In a survey of pharmacy directors in U.S. hospitals, more than 97 percent of the 325 respondents indicated their hospitals had implemented either a partial or complete EHR, 84.1 percent use CPOE systems, and 93.7 percent have BCMA technology,” the group said. The reports reveal that errors due to HIT are multifactor and highly complex. So it is important that healthcare organizations and technology vendors continue to work with frontline and informatics staff to address technology-related issues that would improve the usability of systems. Here are a few strategies they laid out. Encourage individuals to report unsafe conditions, near misses and errors due to HIT so these concerns can be analyzed and ameliorated. Conduct a root-cause analysis using information from the individual(s) involved in the events along with IT staff members who are knowledgeable and can address IT system vulnerabilities. Provide training to new staff members unfamiliar with the technology and make sure they are competent before allowing them to use HIT for patient care. Monitor technology usage metrics such as system downtime, number of alert overrides and the number of medication orders submitted through CPOE. Identify workarounds that staff are using to address system flaws. Correct these system flaws so the workarounds can be eliminated, and be sure to inform staff when changes in the system have been made. Reduce the need for manual human interface with the computer by allowing systems to communicate seamlessly. Use tall-man letters on computer screens to help differentiate look-alike medication names. Avoid displaying look-alike names next to one another in computer drop-down lists, and consider differentiating look-alike and sound-alike drugs by including their purpose (e.g., hydrOXYzine [antihistamine] and hydrALAZINE [vasodilator]). Use easy-to-read, larger size, sans-serif fonts in electronic systems.